Bosko is an animated cartoon character created by animators Hugh Harman and Rudolf Ising. 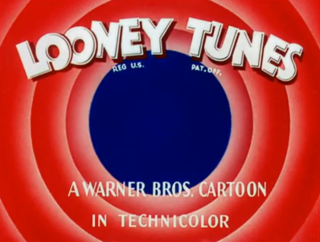 Bosko was the first recurring character in Leon Schlesinger's cartoon series, and was the star of 39 Looney Tunes shorts released by Warner Bros. He was voiced by Carman Maxwell, Johnny Murray, and Billie Thomas during the 1920s and 1930s, and once by Don Messick during the 1990s. 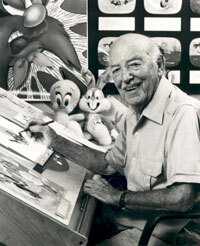 Isadore "Friz" Freleng, often credited as I. Freleng, was an American animator, cartoonist, director, producer, and composer known for his work at Warner Bros. Cartoons on the Looney Tunes and Merrie Melodies series of cartoons. Zagreb Film is a Croatian film company principally known for its animation studio. From Zagreb, it was founded in 1953. They have produced hundreds of animated films, as well as documentaries, television commercials, educational films and several feature films.